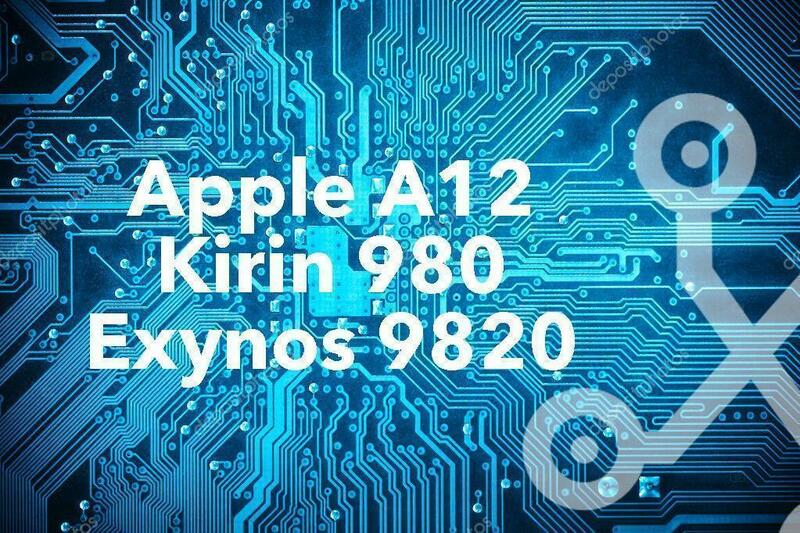 Kirin 980 vs Apple A12 vs A12X vs Exynos 9820: Which one is best? A CPU chipset is designed to run smartphones, laptops, tablets and another kind of portable devices. These come equipped with several advanced features to perform various tasks based on their programming. Now, with so many technological advancements taking place, big companies in the market such as Huawei, Apple, Samsung, etc. have started manufacturing their chipsets. But which one of these processors rules over others in the market? To find out the answer to this below is an explanation on the latest processors manufactured by these companies and a comparison among them all. Huawei’s latest but yet to be made available AI processor, the Kirin 980, is a 7nm SoC chipset which comes with 8-core configuration. The chipset comes equipped with 8-core configuration: two Cortex-A76 cores with a clock speed of 2.6GHz for higher power, two Cortex-A76 cores with clock speed 1.92GHz for lower power as well as 4 Cortex-A55 cores with clock speed 1.8GHz for all the less-demanding operations and energy efficiency. Huawei has printed the Kirin 980 with dual-core NPU to achieve a better and quick AI code for the smartphone, camera and other uses. The upcoming Huawei devices which will come powered with Kirin 980 are Mate 20, Mate 20 Pro and Mate 20 X. However, the case with Apple is pretty different as its A12 Bionic chip SoC, found in the latest Apple iPhone XS and Apple XR devices, comes with 6-core configuration: 2 cores for high performance and 4 cores for lower energy consumption. Apart from this, the chip also comes with a Neural Engine which comprises 8-cores to boost better video and photography and for other multiple uses as well. Moreover, the company also launched its latest iPad Pro pair with the highly optimized and upgraded chipset, the A12X Bionic. Unlike the A12 chipset, the A12X, on the other hand, offers 8-core configuration: 4 cores for maximum power and 4 cores for energy efficiency. The chipset also includes a Neural Engine which comprises 8 cores for better AI code. 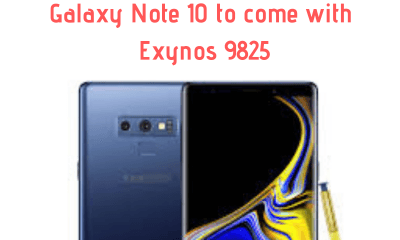 As and when we thought that Samsung had reached its last one, the company unveiled it’s Exynos 9820. The latest processor will most likely power the upcoming Galaxy S10 and Note 10 smartphones. Just like Huawei Kirin 980 and Apple A12X chipset, the Samsung Exynos 9820 processor will also come with an 8-core configuration: 2 customized cores for high performance, 2-cortex cores for maintaining balanced operation as well as 4-cortex cores for lower power consumption. Just like Apple and Huawei, Samsung’s Exynos 9820 chipset also includes a Neural Engine to accelerate AI and all the machine-learning related operations like improved videos and photos. Video - [email protected]/30/60fps, [email protected]/60/120/240fps, HDR, stereo sound rec. When you look at the memory capacity offered, all the 4 chipsets offer LPDDR4X RAM accompanied with varied storage. Huawei and Apple both have the same memory of UFS 2.1 while for Samsung its UFS 3.0. Huawei doesn’t experiment and have its GPUs customized. As such in the all-new Kirin 980, you will find Mali G76 MP10 GPU. This implies that the chipset does not only offer the newest ARM graphics generation but also comprises ten rendering cores. On the other hand, one can’t forget the ‘GPU Turbo technology’ offered in the chipset for optimizing the operating system’s graphics performance. 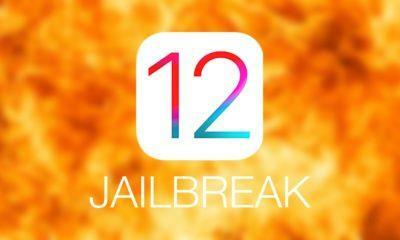 When it comes to Apple, you will find an entirely customized GPU design for its A12 with 4 cores and A12X with 7 cores. Just like Huawei, Samsung also comes with a similar proposal but has the bar risen a bit. You will find the Mali G76 GPU in the Exynos 9820 but with twelve rendering cores instead of ten. However, the one thing which most of the processors lack is 5G modems. But as per the latest report, Huawei’s Kirin 980 will come with 5G support. Although Samsung had earlier spoken about releasing Exynos with 5G networks, one will have to wait for an official announcement for the same for Exynos 9820. On the other hand, Apple A12 and A12X processors come with 4G modems. Moreover, the speed navigates at different data speeds on all the chipsets. But as long as you have a network offering great speed ceiling, the 5G option shouldn’t matter much at the moment.